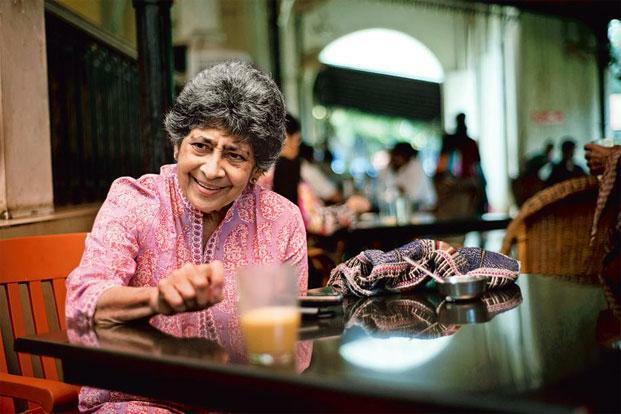 What is striking about Namjoshi’s work is the way she always looks at identity collectively and does not treat religious, sexual, racial, class and caste identity as separate strands. 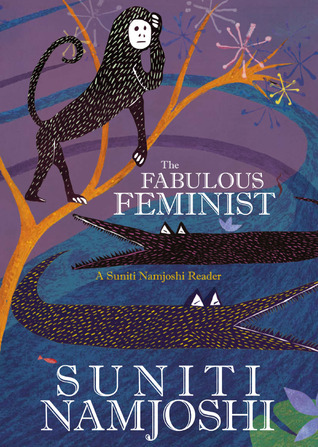 Suniti Namjoshi’s work has always been one to dismantle established norms of gender, sexuality and even literature. The Fabulous Feminist published by Zubaan in 2012 was a revival of Namjoshi’s powerful work which is a rewriting of canonical literature, of fairy tales and even of Shakespeare. Drawing from Indian and Western fairy tales, Namjoshi offers us an opportunity to consider fairy tales as sites of subversive forces. Though Jack Zipes and other scholars have pointed out the subversive potential of fairy tales, they are restricted to western fairy tales. Namjoshi gives us subversive popular Hindu Indian fairy tales, those from the Panchatantra. What is striking about Namjoshi’s work is the way she always looks at identity collectively and does not treat religious, sexual, racial, class and caste identity as separate strands. She understands their intermixed nature and the predicament it creates for an individual. In ‘From the Panchatantra’ Namjoshi calls to our immediate attention to the desire for a male child that runs through the country and through its tales. Our protagonist—the standard protagonist of Hindu folk tales in India—‘brahmin’, starts with “I, myself, am indisputably male.” But his ideas and identity which were fixed in a conception of the male that he had imagined for himself dismantle when he is reborn as a woman. The need for sons is no longer a priority, it is the want of “human status”. But alas, it escapes his—her—grasp. Identities become spaces for contesting rights and establishing them. They become means through other people/beings. Identities are established and communicated across. In ‘The Female Swan’, we read of a duckling trying earnestly to become a swan. The duck even succeeds in its endeavours for she is granted the ‘Honorary Swan’ status. But the duck is caught in the crossfire where one group of considers her having betrayed her own people to join another, while the other claims that no matter how much one tries, they cannot change who they are. Identity politics is a common theme throughout the book, and this story especially. In fact, Namjoshi introduces the original writer of this fairy tale, Anderson, through whom she speaks when she says, “…you are beginning to question the nature of ducks and the values of swans…You’re learning to fashion your own fables.” Thus, there is a need for the swans and the ducks to create their own fables—for us to create our own fables to suit our needs, our desires, our identities, instead of conforming to established ones. ‘The Fox and the Stork’ is a satire where we see the exasperated questions that us LGBTQ people have to face within a heteronormative space. With biting wit and searing prose, our Stork is seen adequately standing up for herself when posed with annoying ignorant questions. Some of the questions the ignorant Fox asks are, “do Storks eat?” or “have Storks ever been known to drink?” or perhaps the most frustrating one, “And can Storks speak? I mean, I see that you are speaking, but are Storks fluent in ordinary speech?” To this, our Stork replied wittily, “No… we ration words, and I’ve used up mine for at least three centuries. I must be leaving.” It makes us wish we too could fly away from straight questions. This fable points out the annoying, ignorant and homophobic attempt of straight people to turn LGBTQ folk into projects to study and investigate. We become an animal to study, to observe and experiment on. The Fox is no different in this fable for the last line of the story reads, “In her works on Storks, Fox has computed that the average stork utters seventeen words, exactly seventeen, in every century.” Even flying away helps only so much. Nevertheless, like the Stork, we too harbour a wish to fly away from all the crap when curious, eager straight people come at us with their ‘questions’! or a bush, a thing or a dream. and not my body that is stretched so thin. Suniti Namjoshi’s work is all about celebrating the woman—the queer woman and the straight woman. She celebrates women but doesn’t elevate them to a celestial pedestal. She rewrites the overwhelmingly masculine canon and in that rewriting, she again goes to Shakespeare. Through Caliban and Sycorax, Namjoshi erects a female ancestry and thus a female history (herstory?) where women own their lives, their histories, their selves. It is not bound to an external thing—to a man. In ‘Conversations with a Cow’ we see a constant emphasis on metamorphosis as a means of understanding the world, of accessing it. In it, we see a Suniti who goes to a dinner party amongst white lesbian feminists and finds herself at odds with them, but also unable to completely detach herself from them. Instead of trying to organize oneself in compact categories, it is only in constant transformation, Suniti realizes by the end, that we can find meaning, that we can find ourselves. In The Fabulous Feminist, we get to see how Namjoshi mixes genders, genres and dismantles conventional ideas of the genre across her work. She questions fixed ideas of identity and allows us to explore an alternative terrain, an alternative history where things acquire new meaning because of the new signification attached to them. This new meaning reflects a larger need for the reader to adopt the practise of searching out new histories, alternative histories and is a call for social change. There is an urge to inculcate in oneself the need to question everything ‘fixed’—stories, histories and identities. It is not in the fixed, not in the particular but in the constant change, in the constant metamorphosis that we will find ourselves. Next post Non-Binary Is Out And Proud – But What Is It Exactly?